Okay, so there is literally no reason for these to be as much fun as they are. 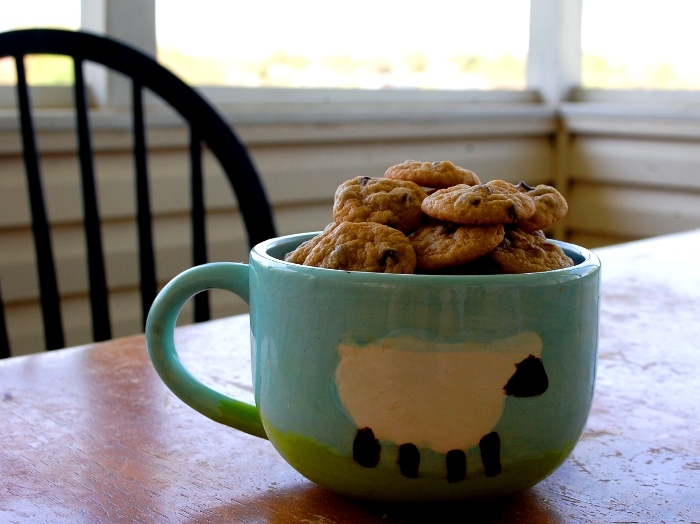 Nobody in the house was able to resist these tiny little cookies, and everyone who ate them had a much bigger grin than ‘regular’ chocolate-chip cookies would produce. Give them a try! 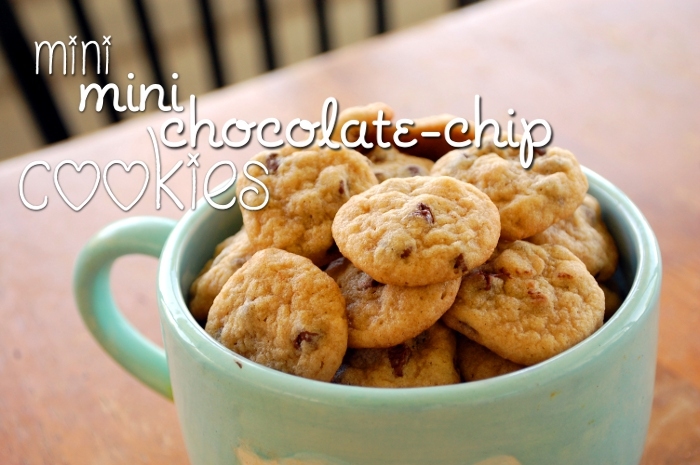 Mix flour mixture into butter mixture until combined; stir in chocolate chips. Scoop by half teaspoons onto an ungreased pan; bake for about 7 minutes. This makes between 10 and 12 dozen tiny cookies (the amount will vary widely by exactly how big you make your cookies, and, um, how much of the dough you eat before it hits the pan). My cookies ranged between an inch and an inch and a half in diameter. I think these cookies would be fun for a tea party or for a snack with dolls (the mini chocolate chips mean that they’re to scale!) and they’re definitely good for children – as my children will tell you. They were excited because they got to eat six or seven cookies. Ha. Hahaha. I’ll definitely be making these again.